PRE AMPLIFIERS - do they help or hurt the sound? If you're familiar with our product line you already know our amplifiers have volume controls and that using a preamp with these amps is optional. In fact most of our customers who've purchased an amplifier from us were advised not to use a preamp with it. This might seem like odd advise coming from a manufacturer who would no doubt enjoy getting another sale but we only give honest advise. My top priority when selling a customer one of our amplifiers is that it sound as good as possible. Good enough to blow away not only the customer but his or her friends. Since sound quality is a factor of the weakest link my job often becomes eliminating as many of the weak links as possible so you can actually hear how good our amps are. 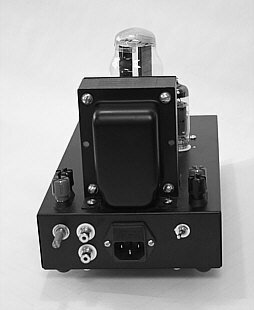 Any time a customer already has a preamp, I advise them to try listening to our amp with and without the preamp. This is because I know in most cases the amp sounds much better then the preamp and I want to make sure they hear that. The easiest way to hear this is to listen to the amps for a few days or weeks directly connected to your CD player or DAC or phono stage using a good pair of interconnects. Allow yourself to discover the inner detail of your recordings and then re-install your preamp. Many times you will hear that much of the inner detail is no longer there and the clarity has suffered. This is not true with all amplifiers, it's just that our Zen Triode amplifiers are so fast and so transparent that relatively little high-end audio gear is in the same league until you spend some very serious money. And the truth is, if a customer can get an amplifier this good for under $700.00 (See our SE84CS) and it will work and sound great without a preamp, why buy one? Chances are pretty good you're not going to spend $4500.00 on a preamp that sounds GOOD enough to NOT handicap the amplifier. So whether a preamp helps or hurts the sound depends on the fidelity of the preamp, the fidelity of power amp, and the abundance or lack of synergy between the two. This synergy will result in part from having the fidelity of both in the same league and in the correct order. Since it is unlikely every component in your system will have exactly the same fidelity the question becomes what order should the fidelity of your components fall into. For example: If you have three components, ie. a source, preamp and power amp and each has a different level of fidelity, you would want the best piece to be your source. The next best piece would be the preamp followed by the amplifier. It would make no sense to have the amplifier be the best piece in your system and your source as the weakest link. By doing so, your source would handicap the preamp and the amplifier by limiting their fidelity to it's own level. Our original amplifier, the SE84C came out in 1996 and was shortly followed by our second product, the ZTPRE. Our SE84C is a low power SET amplifier that by the mere fact it is an SET with limited power appeals to only a small percentage of the market. I wanted to put some "Zen magic" in the homes of the remaining 95% of audiophiles so I figured an equally great preamp was the answer. I carefully designed the ZTPRE to be synergistic with both tube and solid state amplifiers as well as be good enough to put in front of our Zen Triode amp without altering or harming it's wonderfully transparent sound. These two products were the foundation that DECWARE was built on, both being very successful but strange enough were rarely ever both sold to the same customer. The ZTPRE being a pull out all the stops execution cost over twice as much as our little amp so the markets rarely overlapped. And even though using a ZTPRE in front of our amplifiers noticeably kicks up the performance of the amp less then 5% of our amplifier owners ever got to hear this, and it still remains the case today. In my world, preamps fall into one of three basic types. Type A - preamps that you can't hear. Type B- preamps that make everything sound better. Type C-preamps that make everything sound worse. The ZTPRE was a type A. We later came out with a type B preamp called the ZSLA-1 that was designed for systems using big power amps (solid state or tube) as an alternative to "passive" preamps that are often popular in those types of systems. Since it has no gain it is seldom used with our own amplifiers. Now seven years after the release of the ZTPRE my goal was to have a type B that would remain a type B even in front of our amplifiers and be equally at home in front of any other brand amplifier as well. And I had to make sure that our amplifier customers can justify it's cost by making it affordable. The right preamp in front of an SE84C or SE84CS or even SE34I and TORII takes these amplifiers to a new level. I say it's at least a 30% improvement across the board and the power and dynamics will seem to double. It really is amazing to hear when you've listened to your amp all these years without one. And considering that 80% of our amp customers fall into this camp, I can safely say they've yet to hear how good their amplifiers really are! This excites me to no end because I know I have product that will absolutely deliver the goods and for even the most picky audiophiles it will not disappoint. I have compared it side by side with some of the best in the world and the least expensive of these that was still competitive with it cost $4500.00. A good preamp becomes an extension of the source enhancing it's dynamics and overall voltage swing as well as enhancing it's output impedance to more effortlessly drive difficult power amps. A good preamp can extract detail and timbre that is otherwise hidden by these conditions. A good preamp can add body and weight and size to a stereo image and improve the depth and palpability of the sound stage. A good preamp can make tiny speakers and or tiny amplifiers sound and perform as though they were bigger then they really are. A good preamp can organize the presence in a recording to create several more layers to the music. It can pull things apart and make recordings sound less like recordings and more like real music. In the case of the SE84C and SE84CS amplifiers in particular, a good preamp can mean the difference between getting more efficient speakers or keeping the ones you have. This is because the preamp drives these amps with enhancements in dynamics and detail that effectively make it seem as though you just doubled your power. There are probably many owners of these amps who ended up getting a second amp to run as monoblocks for more power. Had the option been available, some of them could have gotten better overall fidelity along with the extra weight they were after by just adding this preamp.